Healthcare professionals across the continuum of care understand the risks that poor medication adherence present to patients. Yet, monitoring compliance outside the provider’s office has been difficult if not impossible – until now. Medication Call Reminder calls patients to remind them to take each medication by name and then documents their compliance for the provider. 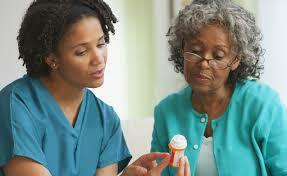 Promote medication adherence, practice information and patient education. MEDICATION CALL REMINDER CAN HELP! Improve doctor/patient relationship for elderly patients and their caregivers. Simple and effective way to educate and improve compliance. Use of an automated voice information service helps your patients to better follow complex orders. Value-added service proved to better outcomes for a variety of practice settings and specialties. Reimbursable under CPT 99490 for Chronic Care Management. Easily refer patients with minimum impact on office practice and standard operation procedures. Personalize 30 second “Welcome Message” with your practice information. Promotes enrollment from your website. Scalable and accessible to anyone with a phone or smartphone. Improve medication compliance of members with regular reminders to lessen their confusion and forgetfulness. Promotes compliance, improves patient outcomes, helps to reduce costly rehospitalizations. Medication Call Reminder improves medication compliance, contributes to better-managed care, which leads to better quality of care rankings and reimbursements. Promote a medication management system to discharge planners and case managers to reduce rehospitalizations. Extends staffing through remote monitoring at a very low cost. Personalized value-added service for clients. Promote stress-free and consistent medication management. Documentation for use of medication adherence to facilitate reimbursement. Improves patient safety and compliance with medication plans. Assists in developing medication schedule/process to enhance compliance.